Option #1: Take your favorite printed dress and layer it with a breezy kimono. Bonus points if the kimono is printed too! Who says prints don't look good together? It adds to the effortless, laidback mood. 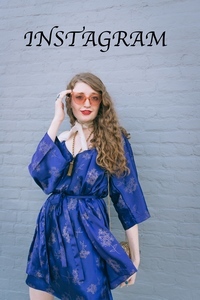 Accessorize with several free-spirited pieces including a pair of round hippie sunglasses, a fringe tote bag and boho jewelry such as stones rings and a statement coin necklace. Perfect the look with a pair of wooden platform sandals. Option #2: This option focuses on texture as the highlight of the outfit. Take your favorite pair of shorts and style them with a crochet top. Add more texture to the look with a straw bag, espadrille heels and interesting jewelry. 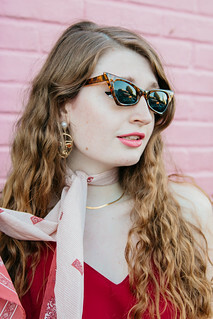 A neutral lip and unique sunglasses pull this look together. Option #3: Take your bohemian look to the next level by styling your outfit around a pair of light-wash, distressed denim overalls. Style an airy lace bralette with the overalls. Accentuate the color of the bralette with a floppy hat and sandals in a matching shade. Accessorize with a boho belt, ornate round sunglasses and a detailed free-spirited bag. 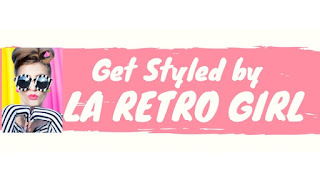 Pin several summery pins onto your overalls to complete the look. I created these sets through Polyvore [links to the sets and items included: #1, #2, #3].